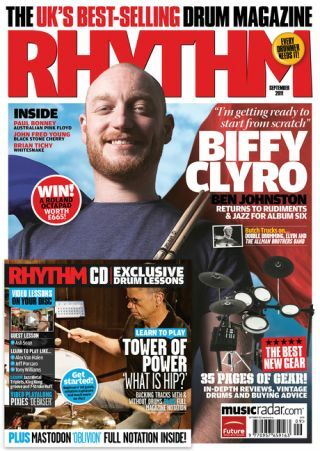 On the back of a monstrously successful two years with Biffy Clyro, we talk to drummer Ben Johnston about the rise and rise of the Scot rock sensations. Ben tells us all about his battle with bad technique, slipping mind-bending time signatures into hit singles and how he's befriending his drum heroes. Learn how to play Mastodon mind-melter 'Oblivion, funk classic 'What Is Hip?' by Tower Of Power and 'Debaser' by the Pixies.